“Success consists of going from failure to failure without loss of enthusiasm.” — Winston Churchill. Every year, a large number of businesses shut down either due to failure to sustain themselves or because of a loss of enthusiasm to deal with their business hardships. Undeniably, they have to encounter several challenges, and one among them is maintaining a good cash reserve. Since mobile apps have become a substitute to many devices. Like the camera app for digital cameras, scanning apps for scanners and music apps for radio. Businesses are now also embracing such apps to have cost-effective solutions. 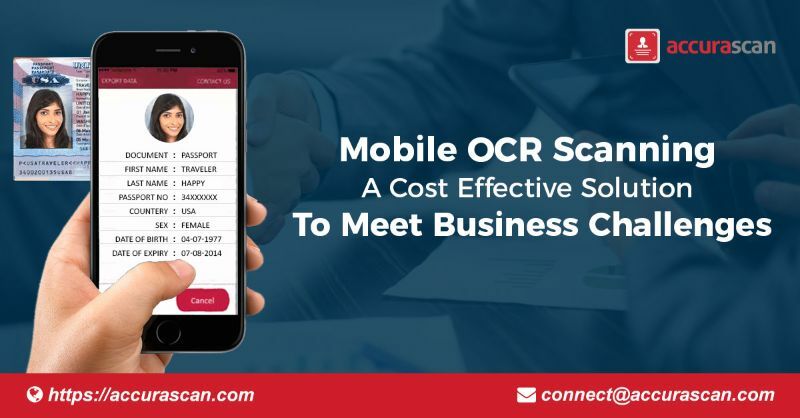 In this regard, a scanning app with OCR (Optical Character Recognition) technology has immense potential to emerge as a cost-effective solution to overcome business challenges. Let us explore how mobile OCR scanning help businesses. Traditional scanners are not only bulky but also occupy a lot of desk space. Mobile OCR scanning completely eliminates the need for investment in such devices. With a scanner in your pocket that performs with accuracy and speed, investment in scanners become unnecessary. Thus, it becomes easy for businesses to meet their scanning needs with cost-effectiveness. When professionals fail to share documents with their employees or colleagues, business operations are affected. If you use a scanner, you also require a host computer connected to the same. Many professionals work while traveling, but sticking to a traditional scanner means having limitations in digitizing documents while traveling. Mobile OCR scanning enables professionals to scan their documents anywhere and anytime with their smartphones. They need to download the app from app store and install it on their device. With the help of an SDK (software development kit), they can also customize the app or integrate it with other apps to augment the scanning capabilities of the mobile OCR app. Accurascan is one such mobile OCR scanning app that helps in the fast scanning of vital documents like Visa, Passport, Driving license, and ID cards with a tap of your finger. With the availability of Accura SDK, it is also possible to customize or integrate the app with any of your existing mobile apps to make it most useful for your business. The app scans in an offline mode. It has compatibility with both Android and iOS devices.